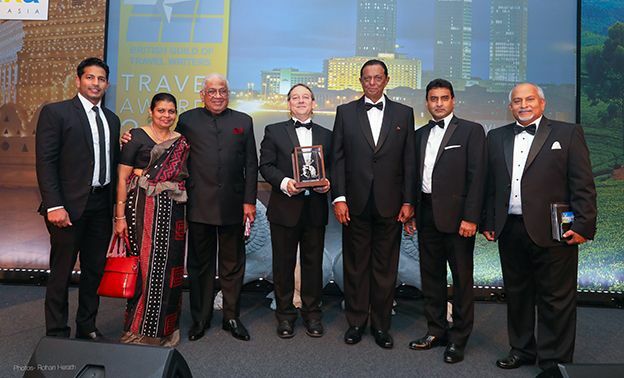 Sri Lanka Tourism Promotion Bureau was the title sponsor of the prestigious British Guild of Travel Writers Awards held at The Savoy Hotel in London last week. 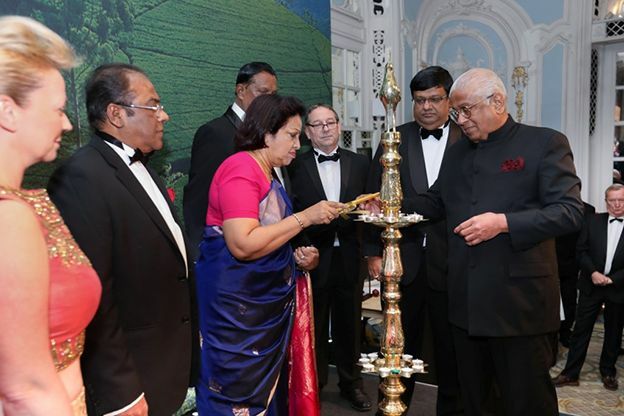 This is the first time that Sri Lanka sponsored this black tie event, joining the ranks of past sponsors such as Virgin Atlantic Airways, Oman Ministry of Tourism and City of Las Vegas to name a few. 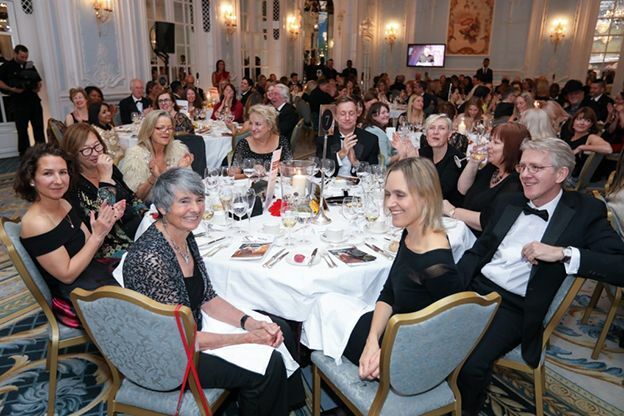 The annual gala attracted the crème de la crème of British travel journalists and 330 high profile media and industry leaders who gathered to recognise and honour excellence in travel writing. 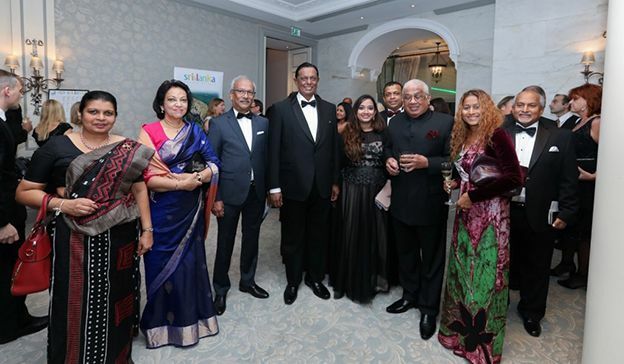 Among those present were Minister of Tourism Development and Christian Religious Affairs, John Amaratunga, High Commissioner for Sri Lanka in the United Kingdom, Amari Wijewardane and Chairman of the Sri Lanka Tourism Promotions Bureau, Mr. Udaya Nanayakkara. Elaborate arrangements were in place to provide an authentic Sri Lankan experience to the guests who were treated to Sri Lankan cocktails, music and souvenir photographs on arrival. Traditional drummers and dancers welcomed the VIP guests into the room, followed by a traditional lamp lighting ceremony. “Our vision is to be recognised as the world’s finest island for memorable, authentic and diverse experience. 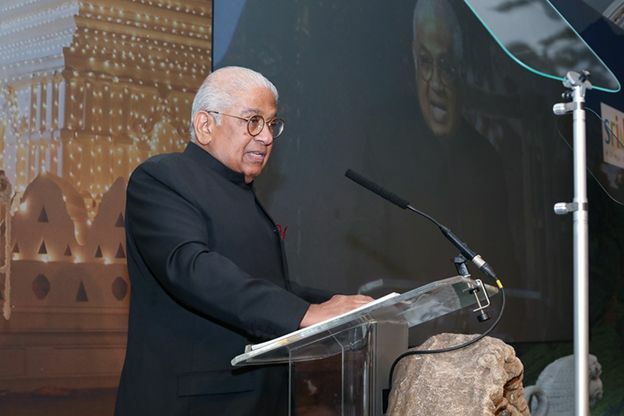 Our mission is to be a high value destination, offering extraordinary experiences that reflect Sri Lanka’s natural and cultural heritage; are socially inclusive and drive economic benefits to communities and the country,” he added. Mr Nanayakkara emphasised that having been in a state of conflict for over 30 years, Sri Lanka is now at peace, with tourism growing exponentially from a mere 500,000 during the conflict to over 2 million arrivals today. Following his address, Minister Amaratunga presented a special gift of recognition to the Chairman of the Guild as well as some of the prestigious awards. The audience was treated to some of the country’s major attractions such as peacocks dancing, whales splashing in the crystal blue water, the magnificent ‘Gathering of Elephants,’ the incredible Esala Perahera in Kandy and surfing in Arugambay. “Where in the world can you find the two largest mammals on land and in the sea: elephants and whales – Sri Lanka!” exclaimed, Chairman Nanayakkara. The evening started with Ceylon Arrack cocktails and Lion Beer flown in especially for the event. The menu, prepared by the highly skilled chefs of The Savoy incorporated the best Ceylon tea into its ingredients. The finale was a tea ceremony produced by Mr Malik Fernando of Resplendent Ceylon. 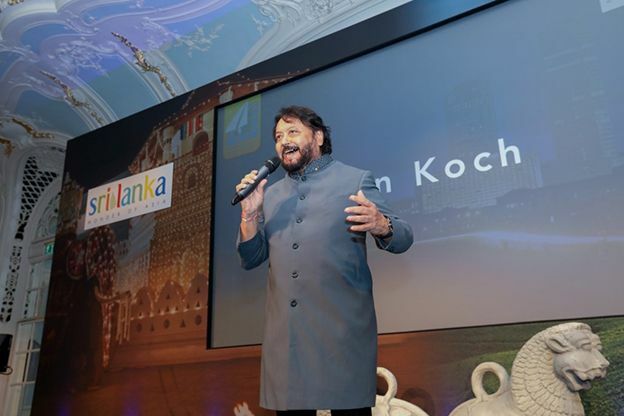 During the evening guests were treated to a variety of videos and images of the country and entertained by Sri Lankan singer Alston Koch, who flew in especially for the occasion from California. The evening was eloquently presented by Adrian Phillips, Managing Director of Bradt Guides and Jennifer Howze, Co-founder of britmums.com. The occasion also provided the guests the opportunity to plan a trip to Sri Lanka and 4 lucky guests won a holiday for two with flights courtesy of SriLankan, Emirates and Qatar Airways. Accommodation was provided courtesy of Cinnamon Hotels, Shangri-La and Aitken Spence Hotels. These awards were presented in the raffle that raised £5000 for the charity nominated by BGTW, the Joliba Trust who work tirelessly to support marginal communities in Africa.